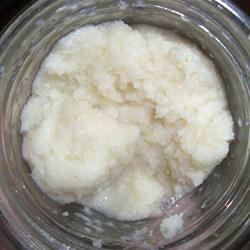 In an electric food processor or blender, process horseradish root, vinegar, sugar and salt. Carefully remove the cover of the processor or blender, keeping your face away from the container. Cover and store the horseradish in the refrigerator.